Welcome to the APPALACHIAN MOUNTAIN FAMILIES HOMEPAGE. We have been online for two years now, and it has truly been amazing how we have been viewed by the friends and relatives that visit us here on our site. When we started this site we never expected it to take off the way it did. It just goes to prove that folks are really determined to find their heritage and seek out the truth of the past. In the past two years we have made many friends through the site. We have been asked to write an article on our Collins line for The Appalachian Quarterly of which we have, and it was published in the December 1998 issue. Our site still remains a site with something for everyone. 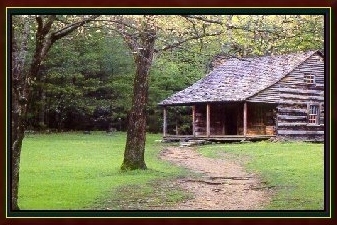 Appalachia was the frontier of the early settlements of Virginia. The Native Americans were already living in the area, the English, German, Irish, Scotch, Welch, the Jews, and the Melungeons found their way to Appalachia. We have added new material to our "Melungeon" page. There are so many views on the topic that we felt it nessessary to post as many different ones as possible. We have also added another researcher's work to the work of Virginia DeMarce. Paul Heinegg has so graciously given his permission to use his work on the site. Both works are well documented. Our research has taken us in search of the Native American bloodline that we know is there in several of our kin. The group of Melungeons called " Guineas" lived along the border of West Virginia and Pennsylvania, many mixed with Indian bloodlines. The materials on these pages are constantly changing so please feel free to visit often. We hope you enjoy your stay in the mountains with us, and we welcome any comments on our site. What is a GEDCOM and the instruction to create one. Copyright 1998 - 2000 by William Martin, ALL RIGHTS RESERVED.